It's All Greek To Me, 2018. 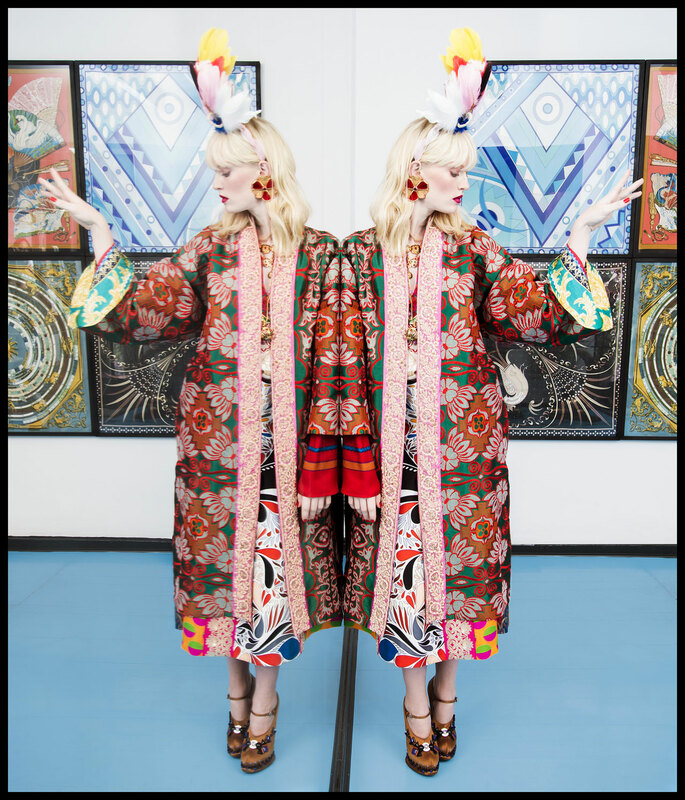 It was a serendipitous moment when Rianna Nektaria Kounou and Nina Kuhn each individually chose what to wear to a vintage furniture fair in Berlin in 2014. "We were both dressed in colours from head to toe. And since most people in Berlin wear black, seeing someone with the same love for vibrant colours is a pretty rare occurrence!" Nina recounts to Yatzer. While "chatting between 1960's chairs and 1980's lamps" a quick friendship immediately developed and Nina found herself sitting in Rianna's "treasure box of a living room" sharing a delicious meal of traditional Greek food with Rianna and her family a few days later. "Starting a label together was a natural process that somehow felt right," says Nina. 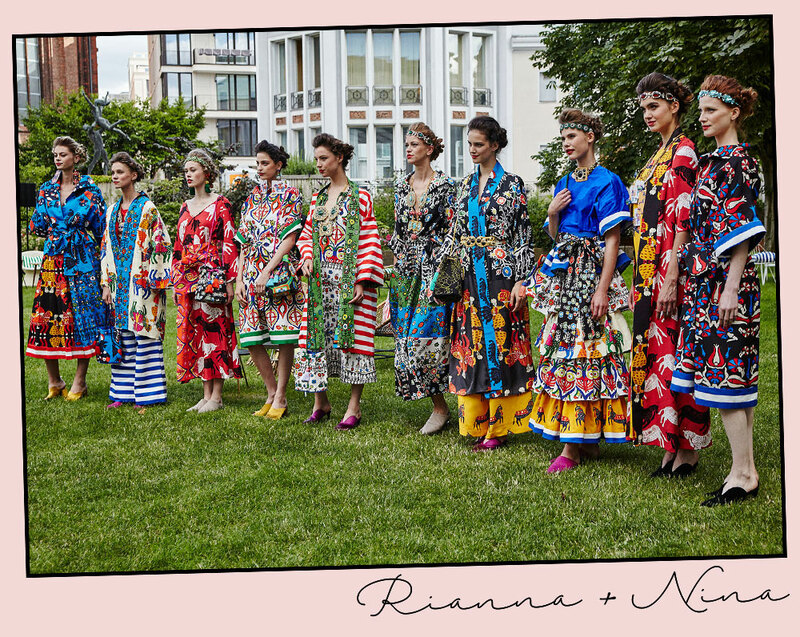 At the time, Rianna had (and still has) a vintage clothing store, Rianna in Berlin, which she opened in 2009 and Nina was Head of Marketing for the Berlin branch of the French department store Galeries Lafayette ("Our totally different backgrounds, means that we complement each other perfectly," says Rianna). 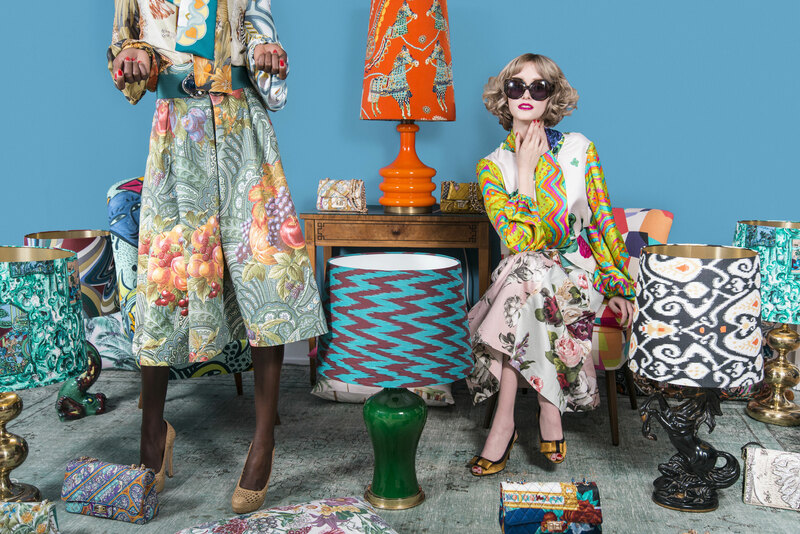 To cut a long story short, Nina quit her job and their one-of-a-kind clothing, accessories and home-ware label made from sourced vintage fabrics, Rianna + Nina, was born in April 2014. 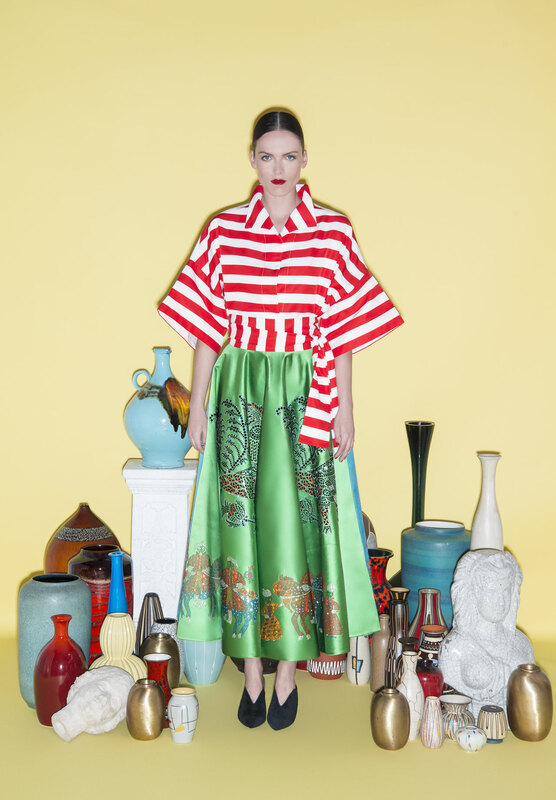 Today the label boasts two collections: the one-of-a-kind collection, as well as their own print collection, "It's all Greek to me," that they recently launched during Berlin Fashion Week which will be available from January 2018. Nina Kuhn and Rianna Nektaria Kounou. We were both dressed in colours from head to toe. And since most people in Berlin wear black, seeing someone with the same love for vibrant colours is a pretty rare occurrence! Photo by Sarah Jane during the presentation of the collection at the Kronprinzenpalais in Berlin (6 July 2017). Pattern / It's All Greek To Me, 2018. 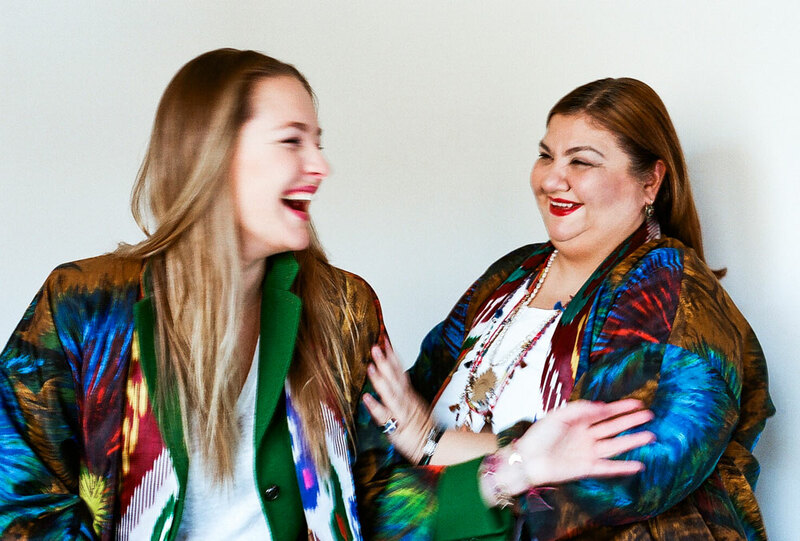 What characterizes each and every Rianna + Nina item is a colourful flamboyance thanks to the multi-patterned, one-of-a-kind fabrics that make up everything from their covetable kimonos to their collectible handbags. Staying true to either of the ladies roots - Rianna grew up in Athens, Greece and Nina near Frankfurt, Germany - the fashion items are all handmade in Berlin, while the bags are made in Athens. 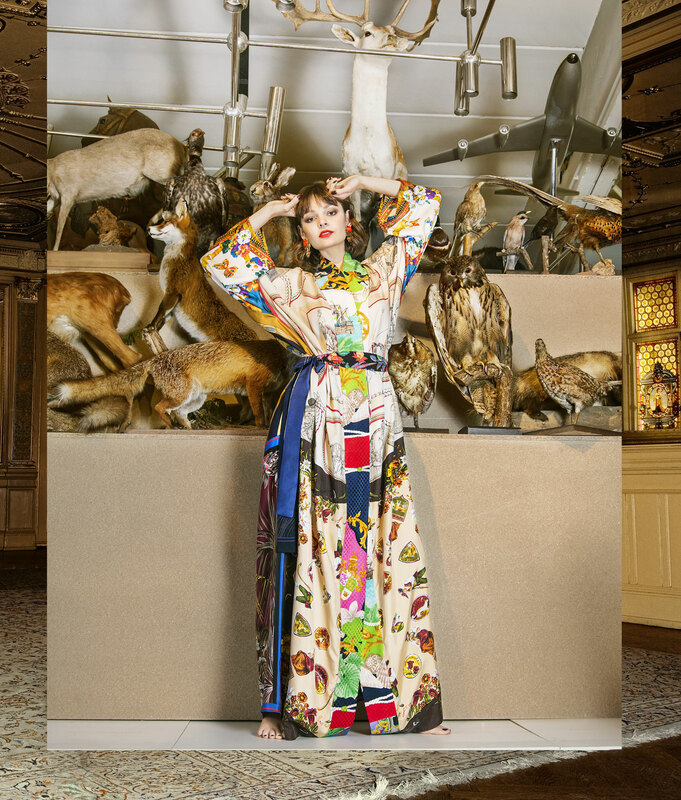 "We wanted to be involved in every step [of the production process]," shares Nina. "It's such a wonderful feeling knowing all of the people who produce for us in person and having a close connection to them." 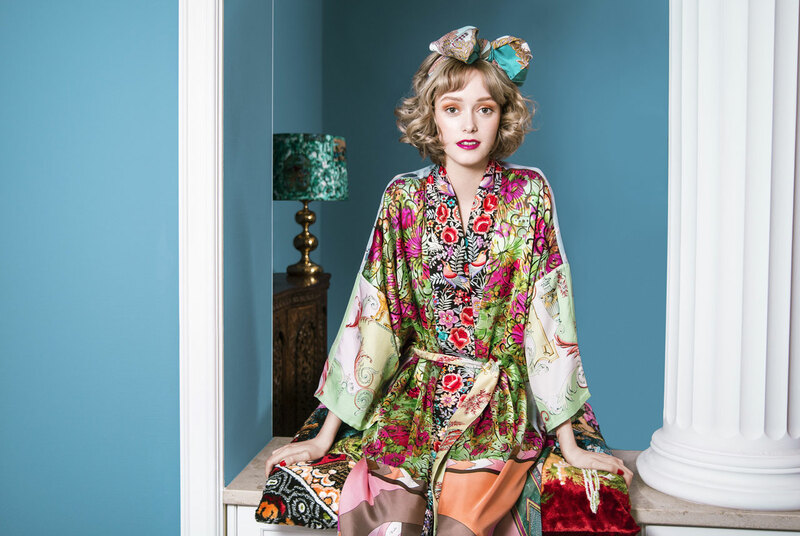 Sourcing the vintage fabrics which are given a new lease on life as items in the Rianna + Nina collection happens thanks to Rianna's strong ties to the vintage world. 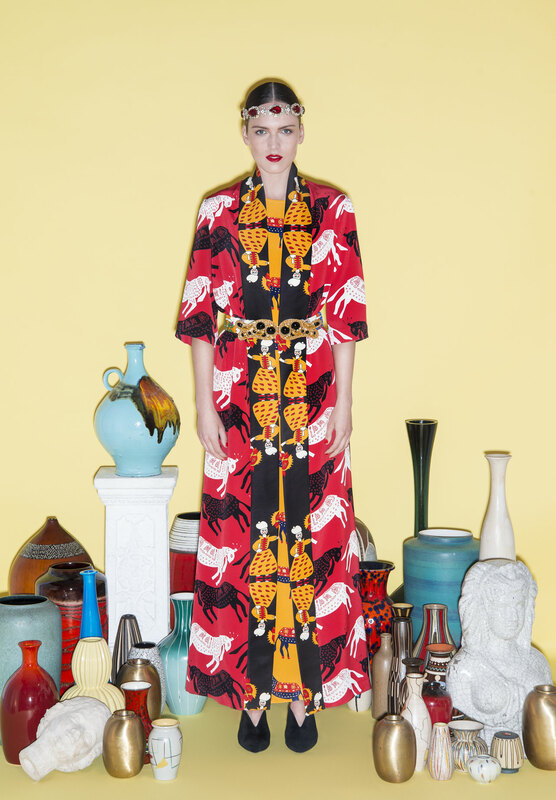 Rianna in Berlin is actually a takeoff from Berlin, a popular vintage clothing store she had opened in Athens in 1987. "I’ve spent my whole life working with vintage cloth and fabrics and could build a worldwide network!" Rianna shares with us. 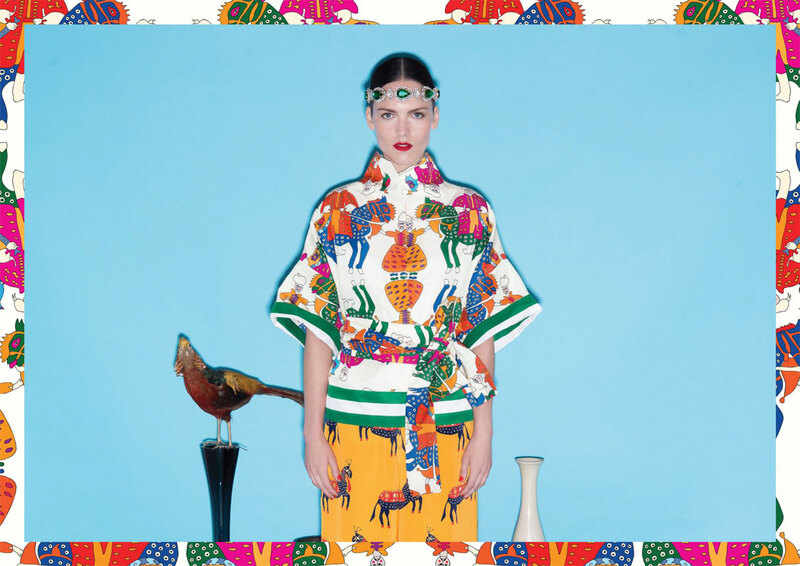 "Of course, it’s still challenging to find wonderful and rare fabrics from all over the world. The feeling of 'treasure hunting' a fabric in amazing condition is something that has driven me for decades." I’ve spent my whole life working with vintage cloth and fabrics and could build a worldwide network! We ask Rianna about the deciding factors that determine what a certain piece of fabric will be "transformed" into, (i.e. a multi-patterned silk and lace dress, a quirky bag, etc). "I decide things like that totally based on my instincts," she says. "Sometimes I'll find a scarf but won't use it immediately. A few weeks later I'll find a second one that matches the first so perfectly that it feels as if they were 'waiting' for each other!" This careful attention to detail and time is something that Rianna + Nina's clients definitely appreciate. And it makes sense too; each item is that much more special to its wearer thanks to the fact that she knows nobody else will have that exact same item in their wardrobe. The feeling of 'treasure hunting' a fabric in amazing condition is something that has driven me for decades.